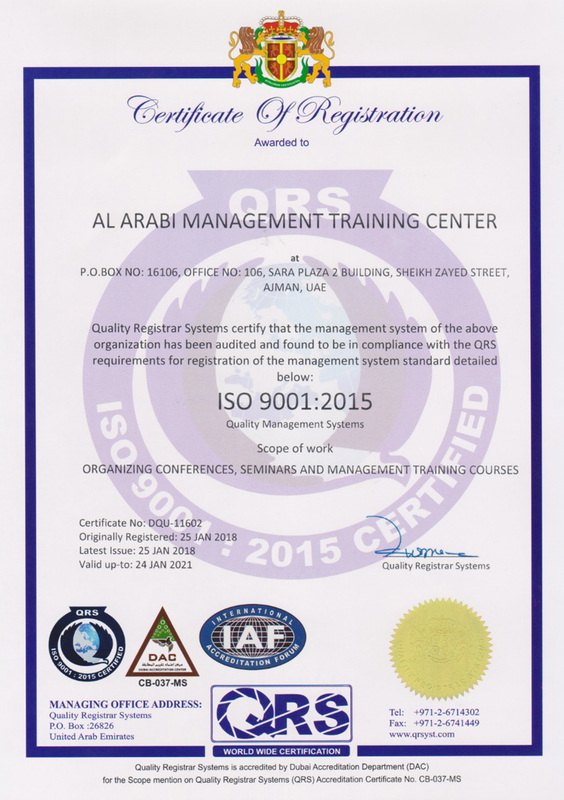 Al Arabi management Training Center is an international consulting firm characterized by its multinational and qualified experts. 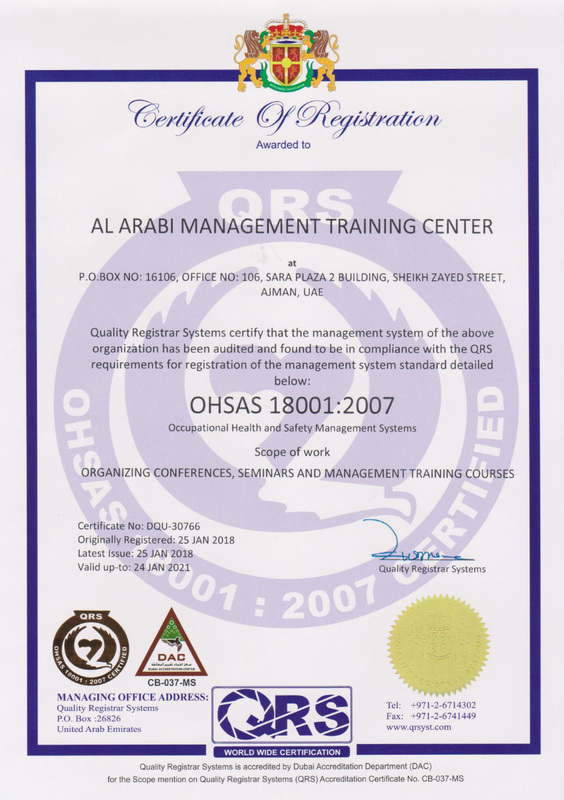 They were tested on the basis of international practices and are known in their specialties. 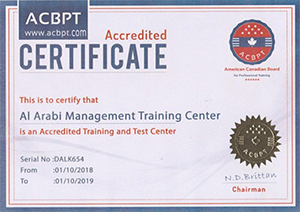 Al Arabi management training Center (AMTC) provides training, consulting and research services in the fields of multi-management, finance, computer, project management, port management, security, safety, quality, productivity, public relations, secretarial, specialized technical courses, customer service, specialized courses, professional courses and courses. in field of management training courses. 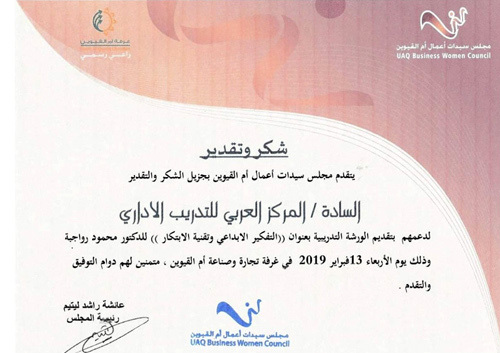 Advancing the Human Resources Department in Fujairah sincere thanks and appreciation to al arabi management training center For organizing the training program "Management of functional differences"
Training & Personal Development Division-HR Department.